When did World War II begin? 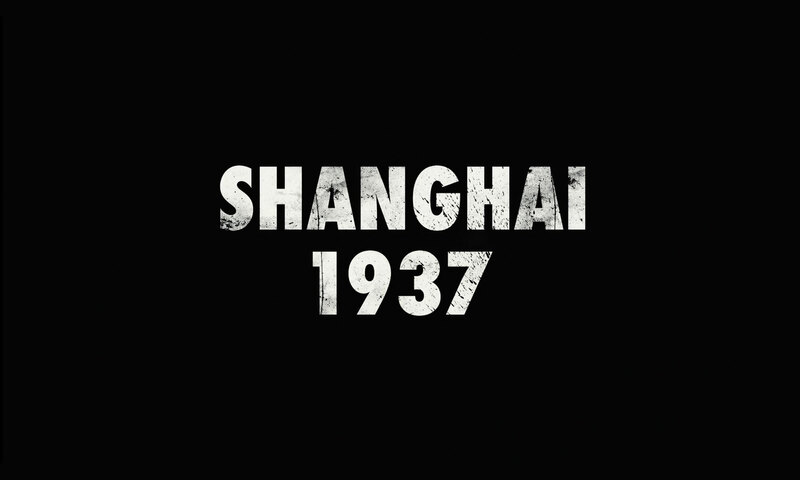 Shanghai 1937: Where World War II Began answers that question in a way most audiences will find surprising. Americans might say December 7, 1941… The day the Japanese Imperial Navy attacked the American naval base at Pearl Harbor, Hawaii. For Europeans, it was September 1, 1939… When Nazi Germany invaded Poland. But in China, people will tell you a different date. August 13, 1937. 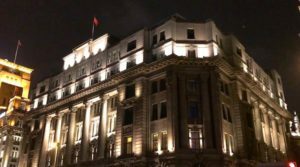 That day, after a century of humiliation, and six years of repeated “Incidents” initiated by the Japanese military, China at last “stood up.” This act of defiance took place in Shanghai, the most international city in Asia. It was headline news around the world. 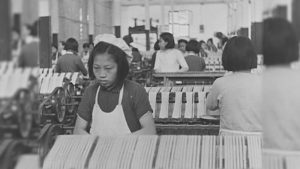 Today, the story is largely forgotten… except in China. 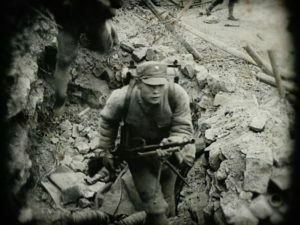 The Battle of Shanghai has been described as the last battle of World War I, and the first battle of World War II. It was a warning to the world, a warning that was ignored. And it was the place where the destiny of modern China was set in motion. Still, at its heart, this is a story of shattered lives, and enduring dreams. For four long years, the people of China would stand-alone against Japanese militarism. 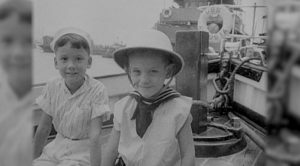 Produced by Emmy Award winning international Producer/Director Bill Einreinhofer, Shanghai 1937: Where World War II Began is the culmination of three years of production. It incorporates little-seen footage located in film libraries around the world, as well as original interviews and scenic footage shot specifically for this documentary. 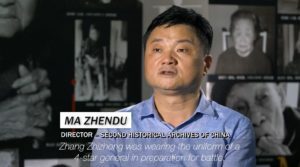 Shanghai 1937: Where World War II Began includes two of the leading Chinese experts on this subject: Su Zhiliang, Ph.D. of Shanghai Normal University and Ma Zhendu, Director of the Second Historical Archives of China. In addition, Hans van de Ven, Ph.D. of Cambridge University in England, American military historian Edward Drea, Ph.D. as well as Danish historian and author Peter Harmsen also participate. Additionally, it includes the vivid recollections of men and women who experienced these events firsthand, as children. 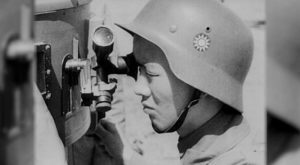 Shanghai 1937: Where World War II Began incorporates the latest scholarship, making it different from previously produced documentaries on this subject. Everyone knows when World War II ended. But it all began in Shanghai 1937. Director Bill Einreinhofer. Bill is the Chair of the Broadcast Journalism department at the New York Film Academy. A three-time Emmy Award winner, he has developed and produced programming for PBS, CBS, ABC, Discovery and HBO. 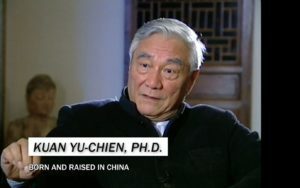 His four-part documentary series tied to the 2008 Summer Olympics, Beyond Beijing, was seen in 43 countries by 250+ million viewers. Co-Producer/ Editor Evgenia Vlasova. Evgenia is a native of the Russian Far East and no stranger to China. Back home she was the anchor and co-producer of an award-winning morning show. She is now an instructor at The New York Film Academy. Producer/Director of Shanghai Sequences Guo Xiang. Guo is a Nanjing-based producer/director. Digital Producer Theresa Loong. Theresa traces her family heritage back to southern China. She is a multimedia director and producer based in New York. Associate Producer Nancy Hanzhang Shen. Nancy is a graduate of the Zhejiang University of Media and Communications, she is a freelance video editor in New York. Production Executive Sun Lianggang is an award-winning Beijing-based documentary producer. 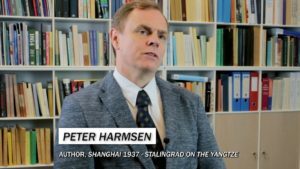 Author Peter Harmsen has written two books that analyze an exceptionally complex period of Chinese history. Shanghai 1937: Stalingrad on the Yangtze and Nanjing 1937: Battle for a Doomed City together provide unmatched insights into this period. Through the words of those who experienced these events firsthand — Chinese, Japanese, American, British, German, and others — you will come to understand how Shanghai in 1937 was a place of shattered lives, as well as enduring dreams. Wing Tek Lum is a well-known Chinese-American poet. His poetry about the Nanjing Massacre, a war crime that was a direct outgrowth of the Battle of Shanghai, is featured in the free Teacher’s Notes. Syd Golston, a past president of the National Council for the Social Studies, for the wonderful Teacher’s Notes. 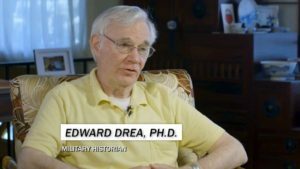 Edward Drea, Ph.D. is a well-known military historian. Before he retired, he was head of the Research and Analysis department at the U.S. Army Center for Military History. He lives in northern Virginia. Kuan Yu-chien, Ph.D. vividly recalls what it was like to live in Japanese-occupied Shanghai. 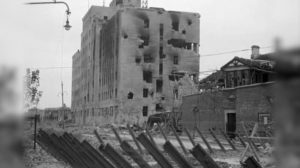 He also remembers, after the defeated Japanese forces left the city, how many people wondered why Shanghai was being “occupied” yet again, this time by American and British troops. Ma Zhendu, as Director the the Second National Archives in Nanjing, oversees the collection, preservation and analysis of the records of the KMT (Nationalist) Party, which controlled China’s central government from the late 1920’s until its defeat in the Chinese Civil War in 1949. 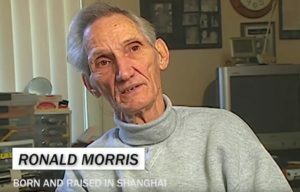 Ronald Morris was born and raised in Shanghai, and witnessed firsthand the brutality of the city’s occupation by the Imperial Japanese Army. He and his mother were both prisoners in the internment camp portrayed in Steven Spielberg’s motion picture Empire of the Sun. 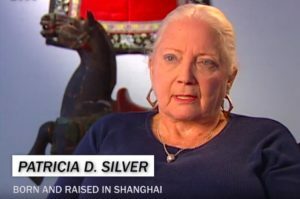 Patricia D. Silver grew up in Shanghai, the daughter of a prominent American physician. 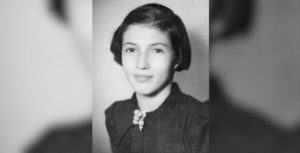 She describes what life was like for Shanghai’s expat community, and the terror of Japanese bombers flattening portions of the city. Su Zhiliang, Ph.D. is an expert on the Battle of Shanghai, as well as the story of the so-called “comfort women” who were forced into sexual servitude by the Japanese military. He helped establish a Comfort Woman Museum on the campus of Shanghai Normal University. Hans van de Ven, Ph.D. 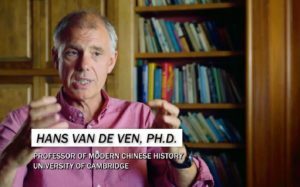 Professor of Modern Chinese History, University of Cambridge. He is author of China at War, Triumph and Tragedy in the Emergence of the New China. 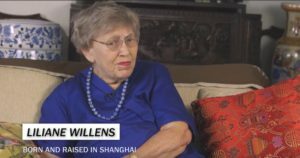 Lillian Willens, Ph.D. is one of the last surviving witnesses to the 1937 Battle of Shanghai. She and her family were stateless Russian Jews trapped in Shanghai. After the war, she came to the United States, eventually teaching at MIT and other prestigious institutions. American Public Television (APT) is the leading syndicator of high-quality, top-rated programming to the nation’s public television stations. APT distributes one-fourth of the top 100 highest-rated public television titles in the U.S. Founded in 1961, among its 250 new program titles per year, APT programs include prominent documentaries, performance, news and current affairs programs, dramas, how-to programs, children’s series and classic movies. America’s Test Kitchen From Cook’s Illustrated, Cook’s Country, AfroPoP, Rick Steves’ Europe, Chris Kimball’s Milk Street Television, Front and Center, Doc Martin, Nightly Business Report, Midsomer Murders, A Place to Call Home, Lidia’s Kitchen, Globe Trekker, New Orleans Cooking with Kevin Belton, Simply Ming, and P. Allen Smith’s Garden Home are a sampling of APT’s programs, considered some of the most popular on public television. APT licenses programs internationally through its APT Worldwide service. Now in its 13th year, Create®TV — featuring the best of public television’s lifestyle programming — is distributed by American Public Television. APT also distributes WORLD™, public television’s premier news, science and documentary channel. To find out more about APT’s programs and services, visit APTonline.org. We are making Teacher’s Notes available free-of-charge to educators. Many thanks to Syd Golston, past president of the National Council for the Social Studies, for developing the notes.